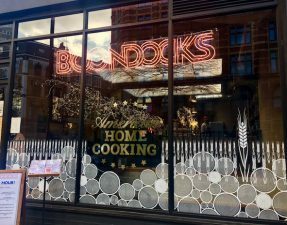 A couple of months ago, a handful of us halal food bloggers were invited to a burger restaurant for a free meal in return for a review. BW and I were given plenty of dishes to taste, had a chat with the owner, and left the establishment feeling that the food was decent but not exactly exceptional. 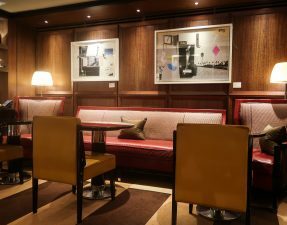 Over the next few weeks however, I noticed rave and ecstatic reviews surrounding this particular restaurant from some of the other bloggers. Really??? Maybe Halal Girl had just had one too many burgers. Earlier this year I came to learn that another burger restaurant was venturing into Central London. I have to say I was a little more excited than I would otherwise have been since it was going to be pretty close to home! Perfect! Naturally, after all the buzz the last place received, a bunch of bloggers, including myself, got an invitation to check it out. Surprise surprise, social media exploded with comments like “this is the start of the halal burger revolution”. No no, that has already come and gone, but it got me thinking about the effect free meals may have on an individual’s integrity. Once you’ve had a comped meal where you’ve met the chef/owner, been treated like royalty, and have had your food paid special attention to, there is that slight pressure, or feeling of obligation even, at the back of your mind to write something positive. Essentially that free meal translates into glowing reviews and quite often false advertising. Trust me, after almost three years of doing this I have learned you cannot succumb to pressure. Basically, what I’m getting at is that when you have the trust of your reader’s judgement in your hands, not only should you try to be impartial, you should also disclose somewhere in your “raving” review stating that your meal was free. That way, it is also down to your readers to decide for themselves whether they should take your word for it or not. I can say that for every comped meal I have accepted (less than 5 by the way! ), I have always disclosed this at the end of my review, and have always remained impartial (even if it hasn’t always gone down well with some of the establishments – despite my being as constructive as I can be in my criticism). A thick, creamy, and incredibly rich vanilla milkshake. With the perfect ratio of ice cream to milk, this was a good, indulgent milkshake to add to your meal. Since the waistline has started to slightly shrink, I decided to go for it and take on some wings to start my meal (and knowing that BW would just eat them all anyways). 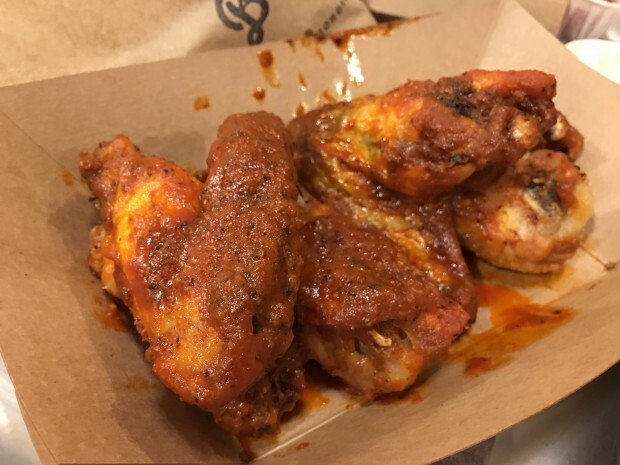 Burgista’s baked buffalo wings however really were missing that crucial yummy crunchiness that you enjoy when tucking into a basket of deep fried chicken wings (and they were double jointed – pet peeve, sorry). The marinade was super flavourful but had not really had a chance to soak completely into the meat meaning the first bite was euphoric but fell flat right afterwards. They had also forgotten to give us the side dipping sauce of stilton and buttermilk which could have enhanced the wings, but this was a minor issue. My cheeseburger arrived with the usual toppings, house sauce, and an abundance of American cheese! I was reassured by Chris that although they cook the burgers through, the meat will remain juicy and not dry, so I was surprised that my original order of having it cooked medium was met – yay! 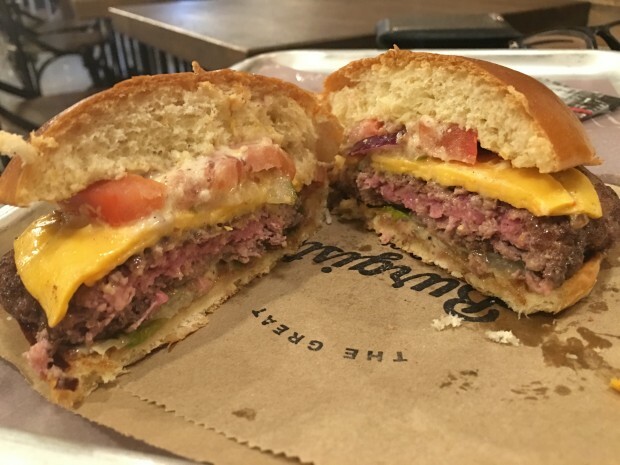 Biting in, I became instantly aware of the delicious salt and peppery, smoky crust on the patty, followed by a intense flow of juices being soaked up by the soft, glossy brioche bun. 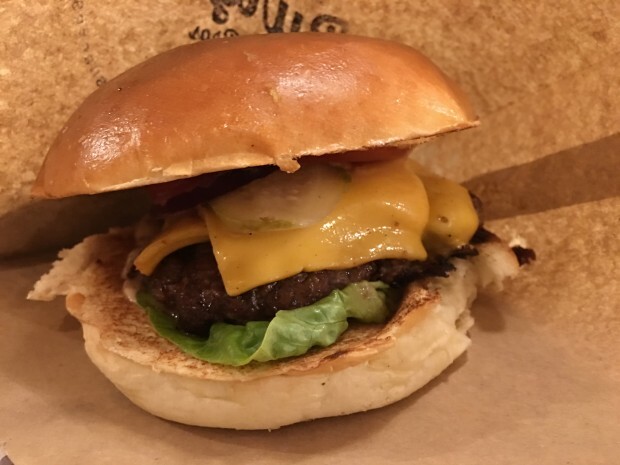 It was a simple burger, if I had to criticise I would say perhaps too little burger and too much bun, which is probably why BW felt it was a bit bland, however the bun held together and I received exactly what I had ordered and I enjoyed it! The rosemary chips were, unfortunately, just about average. Similar to the cheeseburger, but instead topped with fiery chillies, a spicy cheese, chilli sauce, and a chipotle mayo. BW’s burger had been cooked through and through to a well done, however his was just as juicy! It was jampacked full of flavour and I have to say I actually preferred his to mine but can see how the spiciness maybe be overwhelming for some so avoid if you can’t stand the heat! The overall bill amounted to approx. £22.50 so per person which is pretty good because the burgers are more gourmet and less fast foody, and since they have meal deals where you can add fries with a shake/soda for £2.99/£3.99 extra. The atmosphere is definitely casual with a stripped down interior (brick walls etc,) and the food is not served to you but instead you pick up your feast once you get buzzed with the pager they give you. The service was super speedy, friendly, and helpful; I must have asked about 500 questions without even hearing a sigh of exasperation! 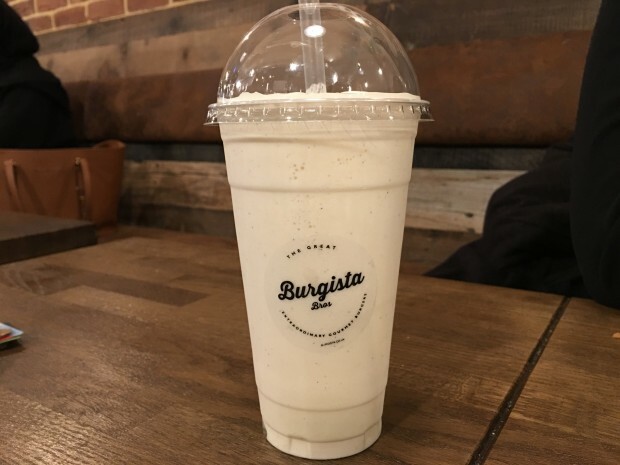 So, from my impartial point of view, I thought that Burgista made a really good effort and deserves some credit, I would even go so far as to say it it one of the better of the recent halal fast fooders to open up, but at the end of the day it is just another burger joint. The patties were admittedly really good, the wings, on the other hand, were just too soft for me and I couldn’t enjoy them as much as I was hoping to. Would I go there again, certainly – but maybe also since it’s just nearby. Would I tell everyone they have to go try it asap or the world will end – not quite. Let everyone do their own thing. Each to their own!! I think bloggers are doing a great job highlighting halal establishments. People would make up their own mind as to whether the food is good or not, regardless of whether other bloggers are raving about it or not. Being a follower of many halal bloggers, i appreciate everyone’s efforts in bringing to the radar halal establishments. Sorry but I much rather read an honest review than a blogger who’s just bigging the restaurant up because they got a free meal. It’s unethical. Ive been to both Brioche and Burgista and i thought the food was great. There has been a lot of positivity surrounding both places by bloggers AND paying customers because the food is good. You are simply ASSUMING other bloggers are giving positive reviews about these two places… And you talk about integrity… You should decline all free meals then, rather than be selective as to which ones you accept. Brioche does awesome steaks… Enough said there! 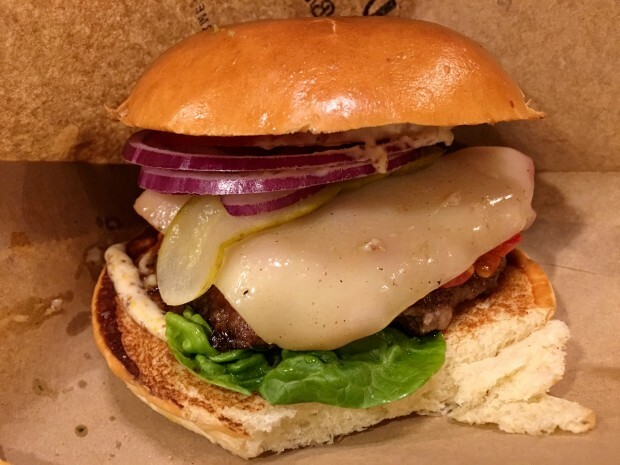 Burgista does good burgers for a reasonable price. A win win in my eyes. Just for the record, I do a lot of research and plan my blogging around what I think my readers would like to read about. I don’t usually feel the need to justify myself, but since you point it out, when I have accepted an invitation for a meal it has been somewhere that I would not have been planning to write about immediately, but have still done so regardless in response to a sincere invitation – be it because Ramadan was creeping up and there was a sense of emergency or a restaurant has needed a little help getting started. As I said in my post, my feedback has not always been positive but I try to be as constructive as possible. Also, I like to think my integrity is intact as I have always disclosed if my meal was free, so as not to wrongfully sway the reader either way and that’s the point I’m making. Everyone should do the same. I think you do a great job and don’t need to justify yourself to anyone. You’ll probably find yourself blocked by insecure bloggers threatened by the truth now! I second some of the above comments. I would much rather read an honest review rather than a “good review” because the writer felt obligated to say positive things. There is nothing wrong to being invited if integrity is maintained but like HGAT pointed out above, when you are invited, you do not receive the normal experience that an everyday diner would. Burgista Bros does sell Bacon on site which means that It Is Not a Halal establishment!!! They are called Beef Bacon and they are Halal. 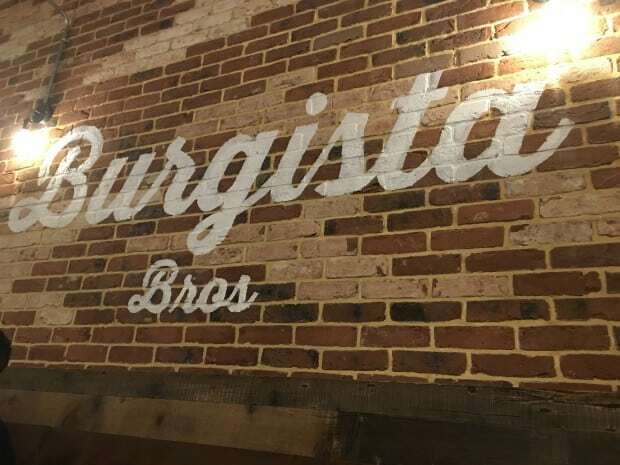 I have eaten in burgista and I’m surprised by your high rating for what it actually is. I found the milkshake inedible so ended up throwing it away, the mexicali burger tasted disgusting! All 3 of us were sick from eating here =( I saw so many high praises and reviews from instagram-I’ve learnt my lesson from that! That is a shame to hear and sorry you had a bad experience! 🙁 Perhaps the restaurant had a bad day… who knows – luckily, there are 30 other burger joints to enjoy! I visited today and had high expectations but like the above poster am surprised you gave this place such a high rating. The burger had a weird/bland taste and the chips were just about average. The rosemary added nothing. I am surprised that the chef who made the most expensive burger runs this place, I would have higher expected a better burger! It’s a shame, because the location and price point is great! 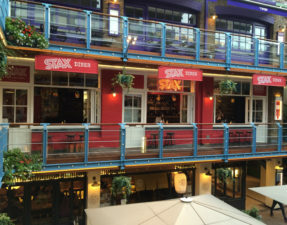 I wouldn’t recommend this place at all, I think Stax on Canaby Street is a way better choice. I have been following your blogs for some time now; I would not let the keyboard warriors get to you or feel the need to justify. Personally I have years in the food industry yet I still come here to listen and read up on your opinion. At the end of the day someones experience will always be subjective, tainted and forced by the situation they are in at that time. Not everybody will agree but I whole heartedly believe the young lady here provides an impartial view and generally her opinions resonate with my own. Yes, on occasion I have had a different opinion but that is life and after all we have different taste buds. Keep on the good work that you are doing and we all look forward to your next posts. Who are they halal certified by? Does anybody know if they stun their meat? ?